Can you share some of the unique challenges for families in the military? Jody: There are many stressors and challenges faced by military families such as frequent separations, communication difficulties, frequent and long deployments, frequent moves, and long work hours. In times of peace and in times of conflict, for the soldier it is about duty and about the mission. In many cases duty to the mission overshadows duty to the family. What happens to deployed soldiers is well documented. What happens to the families left behind is too often overlooked. Only in recent years have studies begun on the effects of deployments on the military family. Frequent moves and frequent deployments are a way of life for these families. Military life in itself can be stressful for both soldiers and their families. How widespread is the experience of unplanned pregnancy and abortion in the military? The military has a higher pregnancy rate than any other any group in the U.S. Because abortions are procured at local clinics, there is no means to track abortion rates among those pregnant military members. According to a few military doctors and OB nurses I have spoken to, a large number of female soldiers and dependents go to a military medical facility to validate the pregnancy and never come back. They procure an abortion at a local abortion facility. 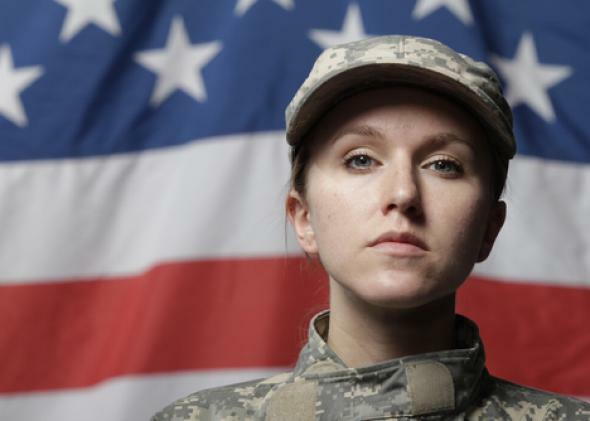 How does abortion impact our military personnel? Jody: The pain and grief of abortion only adds more stress and conflict to their lives. Whether it is the female soldier not wanting to sacrifice her military career or feeling pressured to fulfill her duty, or the male soldier feeling fatherhood may stand in the way of his mission, sacrificing our unborn children to abortion is an unfortunate and frequent reality of military life. Abortion decisions often involve varying degrees of pressure and conflict. This predisposes them to have more intense post abortion reactions and even trauma. Left untreated, how does this post abortion problem manifest in a soldier’s marriage and family life? Abortion provokes a major crisis in the lives of a married couple which is frequently followed by the instability of that relationship. Frequently, one or both of the couple have been involved in an abortion before they met their spouse. Many carry this baggage into the marriage causing even further problems in the relationship. The family is the cornerstone of the church, our nation, and civilization. Whether National Guard, Reserves, or active duty, our military families are the strength of our soldiers. When unresolved abortion grief leads to strife in our military families, it affects the strength of our soldiers, the strength of our military, and ultimately the strength of our nation. We know that abortion can be a contentious issue. How receptive are military chaplains and others in the armed forces to your outreach in this area? Jody: There have been many positive responses by military chaplains to the concept of post abortion healing programs. However, chaplains move as frequently as any other military members do. Programs embraced by one chaplain may not be priority to the next chaplain coming in. However, many members frequently attend services or mass at churches off post. Contact with these pastors has been very positive. Many acknowledge that there are large numbers of military members attending their services and have been very receptive to receiving information about post abortion healing programs. Yes, the issue of abortion is controversial, however, the issue of healing should not be. Why is this important concern for our military and civilian political leaders? Jody: Our military leaders should be very concerned about the effects abortion has on their soldiers. It is tragic that soldiers may choose abortion to try and protect their mission. Soldiers who bring unresolved abortion grief and even trauma into their mission, are not able to function in the same way they did before the abortion, therefore compromising their capacity to serve safely and effectively. Unresolved abortion grief can affect a soldier’s morale, performance and effectiveness which in turn may affect the unit’s cohesiveness and mission. Is there an abortion connection to the high suicide rate among veterans? Jody: Eventually, soldiers become Veterans. This unresolved abortion grief follows them into their civilian lives. Suicide rates among young veterans are rising at an alarming rate. Unresolved abortion grief can be a factor in these suicides. Abortion recovery programs such as Rachel’s Vineyard provide women and men an experience of a safe and very effective grieving process and emotional and spiritual support that are so essential for recovery. It’s a foundation they can build on as they make the transition to post military life. It is our duty to reach out and help serve those who have served our nation. Fortunately I have had very positive results at Veterans conferences and on Veterans Facebook groups to which I belong. But we need to do more to get the word out and connect both our active military and our veterans with resources for abortion recovery. This entry was posted on Thursday, September 17th, 2015 at 2:55 pm	and is filed under Uncategorized. You can follow any responses to this entry through the RSS 2.0 feed. You can leave a response, or trackback from your own site.